Amazing things can happen when people, government agencies and private companies all come together to promote green living and a healthier planet. The ENERGY STAR program is a perfect example of this. This program promotes the use of energy-efficient appliances, fixtures, and machines in both homes and businesses, and the program promotes recognition of the top 25 percentile of energy-efficient commercial buildings. Both building owners and tenants can benefit when ENERGY STAR guidelines are followed in work spaces and rented spaces. Find out why everyone wins when building owners and tenants put a little bit of energy into saving energy. There is much to be gained while taking a stand for the environment using the EPA’s recommendations under the ENERGY STAR program. The sad reality is that a large portion of the energy used by buildings is wasted. This is bad for both the planet and a company’s bottom line. Smart energy management allows a business to capture inefficiencies, correct them, and reduce costs. These energy management best practices also reduce a company’s contribution to greenhouse gas emissions. Everybody wins. The EPA’s energy-management guidelines are already being used by thousands of successful businesses. You will have more than 150 metrics to use when evaluating how your commercial property performs. This information can be used by decision makers to craft a plan for building sustainability and introducing energy-efficient technologies. A company doesn’t have to pursue a greener way of doing business alone. The EPA provides a bounty of technical information, networking meetings, kits, management tools and more to make every endeavor successful. If you are a building engineer or property manager, check out the EPA’s great best-practices checklist to help you identify extra energy savings at your building. Building tenants have a lot to gain when using EPA-endorsed products and practices. The biggest benefit is obviously savings. Running an operation efficiently can lead to thousands upon thousands of dollars in savings annually. In addition, there is the advantage of using every inch of space efficiently to create a more productive work environment. There is also the reputation aspect. Being a brand that takes measures to leave as small of a footprint as possible is a great way to show that your brand cares about the world and the customers it serves. What Does an ENERGY STAR Operation Look Like? Even items like vending machines and water coolers can be purchased with ENERGY STAR labels. Smart thermostats are becoming extremely popular because building owners and tenants are looking for ways to keep indoor spaces comfortable without throwing money out the window. Businesses don’t just save when it comes to equipment that is specific to the workplace. Nearly all of the components that are necessary for a space of any type also come with ENERGY STAR labels today. This can include things like light fixtures, ceiling fans, light bulbs, water heaters, air conditioners, televisions and so much more. Are You Interested in Moving Toward Sustainability? There has never been a better time to move toward sustainability. There are many tools and incentives to learn about if you’d like to run a building that is greener. Sustainable Investment Group (SIG) provides services that can help to get a building up to speed with the latest ENERGY STAR guidelines and help your building reach the top 25 percentile mark to earn an ENERGY STAR label for your building. 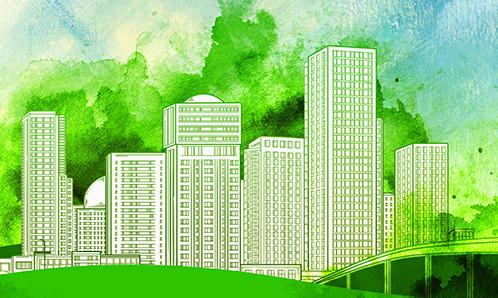 We offer LEED exam prep training, engineering services, and green building consulting. In addition, we handle ENERGY STAR certification for our clients at a very low cost. Our team would love to help you move towards a more sustainable future and provide you with guidance to do exactly that. You can get in touch with us here.